If you want to log changes in some specific folder like My Documents or get the idea of the whole file structure, Print Maestro is here to help. It can easily export folder contents to text. 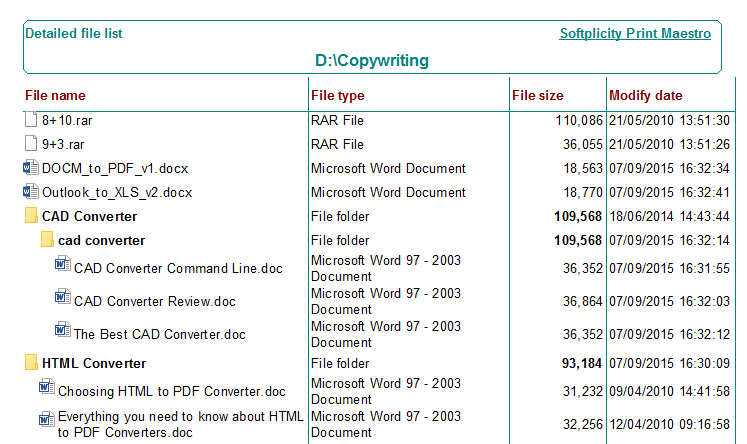 TXT is the most compact text format, so it is perfect for back up and archiving. Apart from exporting folder content to TXT, you can also print them to have the copy on paper. The built-in directory printer will do this in a few clicks. 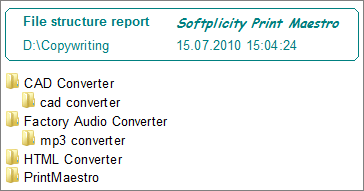 As for any other formats, Print Maestro offers a set of adjustable parameters for TXT reports. You can adjust contents filtering to exclude unnecessary items from your directory report. This can be files with some system extensions or some service subfolders that are not important. Additionally you can setup the subfolder level that will define how many levels of subfolders will be included into report. All these settings are optional; you can change them in Edit menu. 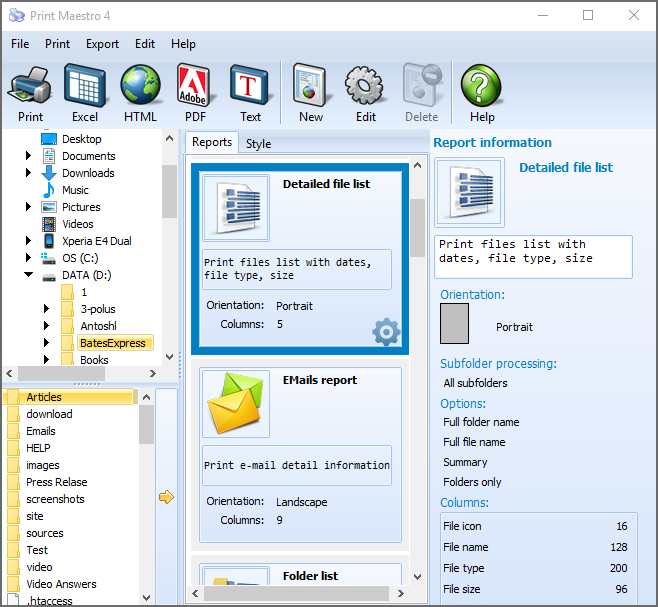 Print Maestro is available for download. 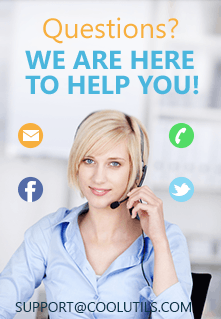 Try it in free trial or order a license for unlimited use!